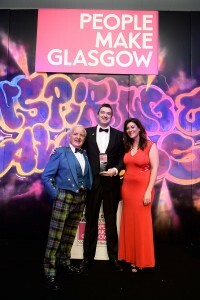 The Watson Foundation has supported the prestigious Inspiring City Awards organised by The Herald and Glasgow Chamber of Commerce. The Foundation sponsored the category “Outstanding Contribution by a Young Business Leader” which was won by Andrew Duncan of SwarmOnline. 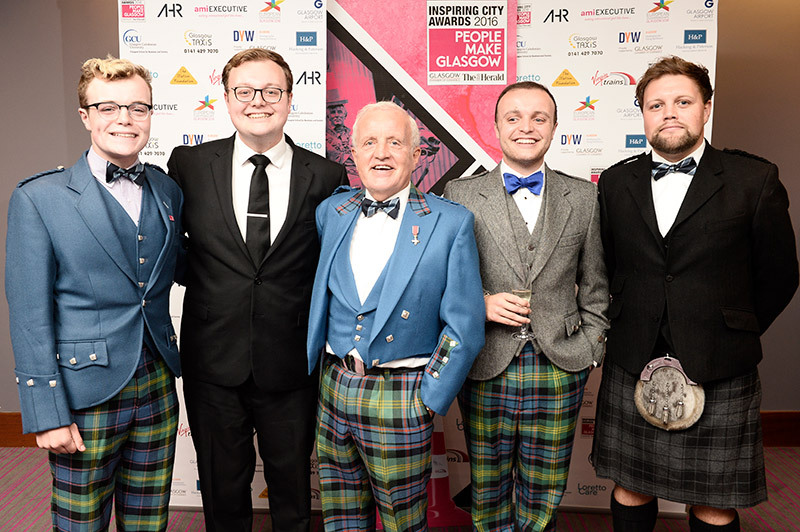 The evening was a great success and The Herald and Glasgow Chamber of Commerce are to be congratulated for their willingness to support the City of Glasgow. Our picture shows John M Watson with Andrew and host for the evening Catriona Shearer and also pictured below with his four sons. 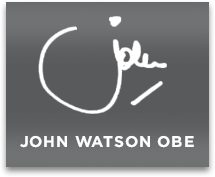 Previous post THE HISTORY OF JOHN WATSON & COMPANY Next post A RACING SUCCESS!